MANTA now has a Research Vessel! 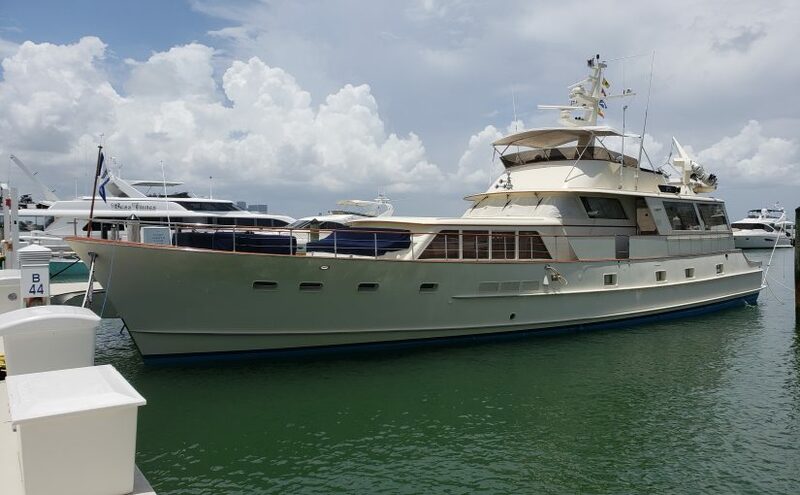 We are proud to announce the extraordinarily generous donation of an 80 foot Burger yacht by Mr. Mark Epstein. The vessel is currently being transformed into the RV MANTA for use in our live-aboard marine science programs. In reviewing the requests, the donor Mr. Epstein noted that there were countless deserving organizations to choose from, so we consider MANTA very fortunate to have been selected among such a distinguished field. We would like to express our gratitude to Mr. Epstein, to Meryl Kaptka for making this connection, and to extend an invitation and a request to the marine science community to join us in utilizing this new teaching and research platform. In order to turn this private yacht into a fully functional floating classroom, we are in need of some modifications to the current layout. This #GivingTuesday, MANTA is raising both in-kind support and other forms of donations to make this large feat happen. Below is a list of items that will need to be accomplished before we can take her down to the islands. If this is something you are interested in, please contact us…we would LOVE to chat with you about our list planned renovations. You can also DONATE HERE, and list in the note section that your donation is for “RV MANTA“. Dear Donors, If you would like to give via credit card and are having troubles with PayPal, please contact PayPal with the issue directly. You can also contact us or mail a check with the students name in the notes section. Thank you for your donations! !